Jake steps through a time-traveling portal into the 1950s in the hopes of changing the course of history. 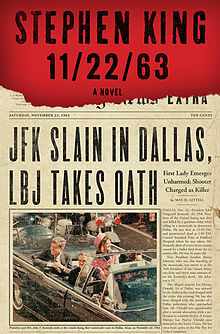 11/22/63 is a meditation on memory, love, loss, free will and necessity. It’s a blunderbuss of a book, rife with answers to questions: Can one man make a difference? Can history be changed, or does it snap back on itself like a rubber band? Does love conquer all? … It all adds up to one of the best time-travel stories since H. G. Wells. King has captured something wonderful. Could it be the bottomlessness of reality? The closer you get to history, the more mysterious it becomes. 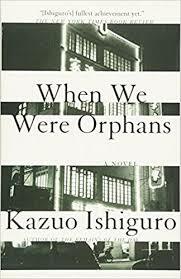 He has written a deeply romantic and pessimistic book. It’s romantic about the real possibility of love, and pessimistic about everything else. Mr. King pulls off a sustained high-wire act of storytelling trickery. He makes alternative history work — but how? It’s at least as interesting to examine Mr. King’s narrative tactics as to discover his opinions about conspiracy theories … Perhaps it’s the gravity of the Kennedy assassination that makes this new book so well grounded, but in any case 11/22/63 does not lay on the terror tricks. Mr. King’s description of America in the midst of the Cuban missile crisis, fearing imminent nuclear annihilation, is at least as scary as anything he ever made up. ... a tale richly layered with the pleasures we’ve come to expect: characters of good heart and wounded lives, whose adventures into the fantastic are made plausible because they are anchored in reality, in the conversations and sense of place that take us effortlessly into the story … When at last Jake races through the streets of Dallas on Nov. 22, King’s storytelling skills kick into overdrive. There are echoes of a hundred chase movies, but in this case the nemesis is the past itself, hurling obstacle after obstacle in the path of a man trying to avert the killing he knows is minutes away. What did you think of 11/22/63?